I want every child and family to have the experience my family had—to have both strengths and difficulties met with appropriate support. As a parent representative on the School Council, I learned many families had a different experience. King Open stated that it was social justice school and we all struggled to make that a reality. As a social worker, I view the whole child in the whole environment and focus on social justice and equity when creating policy. I understand that in order to access the curriculum, a child must feel socially and emotionally safe. Classroom and school cultures matter. Our teachers may offer rich, rigorous curriculum and powerful instruction but if a child’s environment feels unsafe, a student will not take the risks she or he needs to take to learn. Our district’s most urgent concern is not all students have full access to the education they need to reach their potential. This a human rights issue. It creates a loss for particular individuals and the community as a whole. All our students are all our kids. We need to advocate for the right of all students to a rich, rigorous education. Our public schools must be student centered and support teachers. I know the power of this focus, both professionally and personally. Improving achievement for all students. A theme in our community is the desire for more rigor and higher expectations for all students. 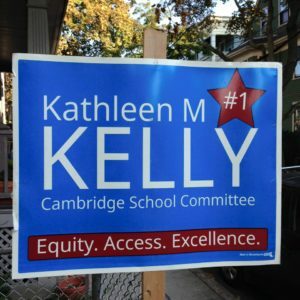 A consistent educational policy and philosophy need to be behind School Committee decisions regarding achievement, although implementation may be different in different schools. Although we may create different interventions for different groups, I believe emphasis on improving achievement for all students must be kept at the forefront of our policy. Identifying barriers to effective implementation should be a primary focus in addressing how we improve achievement for all students. In my first term, I addressed this. I focused on widening our understanding of family engagement, raising learning expectations for all students, and increasing the amount of time our most vulnerable students spend in the classroom, where they need to be to learn and remain engaged in school. I led the discussion on the district family engagement team to create a partnership between families and teachers to support student learning. I advocated for training in cultural proficiency for administrators and new teachers to raise expectations for all students and improve family engagement. Ensuring that teachers and administrators have high expectations for all our students made this a key strategic budget item. I am pushing to create a common language and practices around culturally responsive instruction and curriculum. Building a safe, supportive, nurturing environment in our schools. A welcoming environment should exist for all members of our school communities and requires continuous evaluation and improvement. The primary focus should be on the students. We also must develop positive, collaborative relationships between the adults, including family members and guardians, teachers, staff, and administrators. Adults must model the environment we wish to create for our students. We should see our district as a single system that implements particular supports, such as academic challenge supports and special education supports, not as separate educational systems. Some schools have created a strong feeling of community through particular practices, such as PBIS, responsive classroom, and restorative practice. All schools must be safe, supportive and nurturing. A particular focus for the School Committee should be welcoming all groups in our policy discussions. Social-Emotional Learning remains a growing edge for the district. We have lots of wonderful pieces of the SEL puzzle, but they are not integrated fully. I pushed for evaluation of our SEL programs, not only as separate elements but as an integrated whole. How do our programs reinforce the development of healthy student and community member identities? Our students will need emotional intelligence as they navigate a different work world, where teamwork is critical. I am concerned about the increase in mental health issues among students from JK – 12 in our district, other urban districts in Massachusetts and nationwide. Some increase may be due to increased consciousness and attention to student mental health, school refusal, and trauma. However, we need to be cautious to balance therapeutic inventions with appropriate academic challenge. We must fully implement student IEPs and accommodations in the classroom. I am concerned that student supports and special education are interchangeable terms in our district. The roles of guidance counselors, school psychologists, school adjustment counselors, and social workers need to be delineated. These roles have overlapping training. Through evaluation of these roles, our district could more effectively use their training to assist students and their families. I also sense from discussions with families that the lag time for general education students, who need services, is too long, and why student supports or services should be a broader umbrella. In September 2014 in my annual discussion with the Superintendent, I advocated for significantly reducing suspensions. The majority of principals agreed to eliminate suspensions for three months. With the students in the classroom, we were better able to ascertain the needs of the students, the teachers, and others in order to have more appropriate responses, such as restorative practice, that rebuild and strengthen our classroom and school culture. I know the power of restorative practice as I worked with an organization that used it for families and friends affected by homicide. We want students in the classroom learning: our data indicates that we have work to do meeting the needs of these students. Engagement in learning, attendance, and appropriate responses when students encounter difficulty in the classroom are critical for student achievement and supportive classroom cultures. Building a cohesive and collaborative leadership culture within the School Committee and with the leadership of the District. Our role as School Committee members is to be a consistent and critical friend to the district and to set effective policy. We name what needs improvement and work side by side with the Superintendent and others to improve those elements. In order to do this, I understand the importance of developing working relationships, built on respect and trust, at all levels of the organization. For example, when teachers and administrators asked for a policy on gender fluidity and identity to support students, their families, and teachers, I was able to work with administrators to draft this and it was passed by the School Committee. After this policy was in place, administrators and teachers were able to implement protocols and training in our schools. I will work to ensure that the School Committee and the District Leadership develop a common language and culture of shared responsibility and accountability in their appropriate roles. The superintendent should receive a constructive review from the School Committee as a whole as mandated by the new state guidelines. I participated in my first Superintendent Evaluation process. The structure and evaluation process has challenges, including what the Committee selects to evaluate and that the evaluation occurs annually rather than throughout the year. This lessens its ability to be a constructive tool for continuous improvement. An important step in improving the Committee’s working relationship with the Superintendent (both the present and the future) was the establishment of norms for the School Committee and District Leadership. I was a member of the School Committee/District Leadership Norms subcommittee. We agreed communication, governance, and improvement norms. Each School Committee member and the Committee as a whole will evaluate the implementation and effectiveness of these norms throughout the year. Creating effective policy requires School Committee members to understand both what is working and what needs to be improved at a particular moment in time. Parents, teachers, staff, and the broader community needs to know this. Planning, evaluating, and improvement must be part of the ongoing process of setting policies and leading our district. In addition to improving achievement for all students, I will put particular emphasis on the district’s need to institute long-range planning for budgetary and programmatic decision-making. This planning should include wide community input. I look forward to initiating this process with the new superintendent. Ensuring strong and positive working relationships among the Cambridge Public Schools, City of Cambridge programs, and nonprofit partners. I will continue to work to strengthen the relationship between the School Committee and the City Council in order to build a comprehensive support for all children – from birth through age 25 – and for their families with particular emphasis on: expanding parenting training; literacy; early childhood education; academic enrichment in after-school programs, building partnerships between the Cambridge Public Schools and after-school and summer learning programs; and post-high school planning and partnerships. City Council members have shared their concerns the School District budget most often at the end of the process. The School Committee and the City Council need to set a more collaborative tone and objectively consider the successes and the challenges in the School District and in the multiple programs and initiatives for children, youth, and students in the City Manager’s budget. To begin that discussion, the City Council and the School Committee will be holding a roundtable in mid-November. I look forward to having several opportunities for discussion throughout the budget process. I feel this we help us all understand our separate and collective responsibilities to help all our students to reach their potential. This September, I was appointed Co-Chair of the Budget Committee. With my Co-Chair Richard Harding, I intend to make the process more transparent and increase the engagement of teachers and parents my colleagues started last year. We will have some hearings at community locations, similar to what we did with the superintendent search. This created more access for teachers, parents, and other community members. We also may include department and partner reports as appropriate. It’s important for the School Committee members to hear directly what the needs are in the School District. 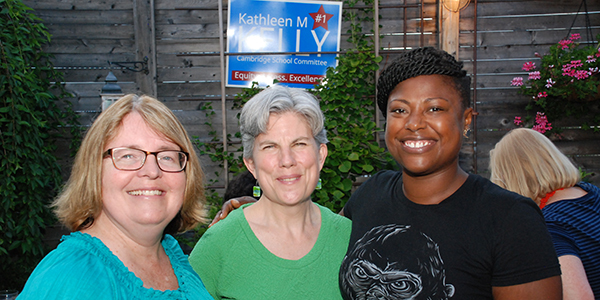 I am proud of the work I have been able to accomplish in my first term on the School Committee. If I am re-elected, I will work with my colleagues to build a strong working relationship with our new superintendent. 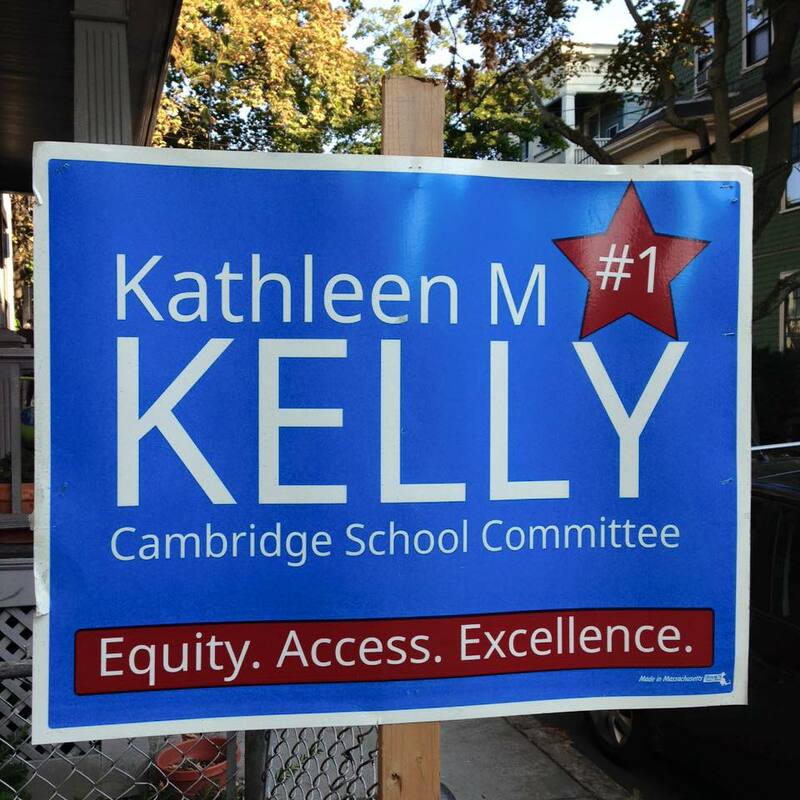 I ask for your #1 vote for the Cambridge School Committee on Tuesday, November 3. I have worked hard and accomplished much in my first term. I would be honored to continue to serve you.